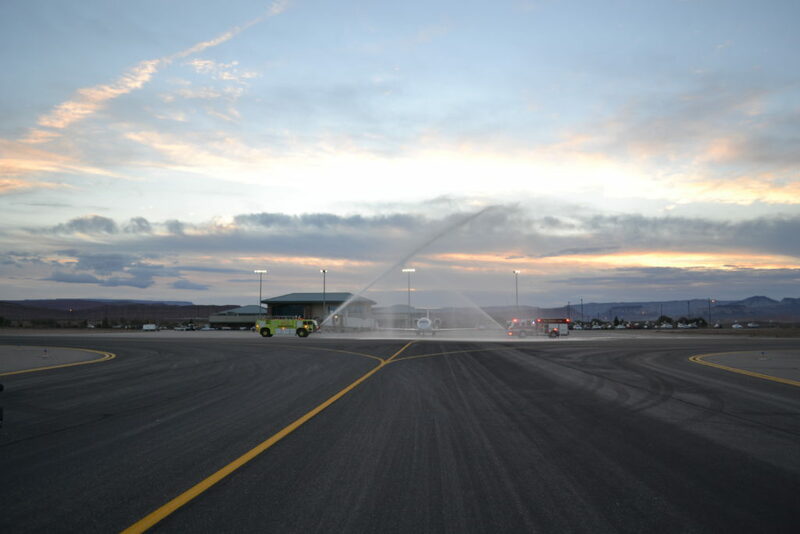 ST. GEORGE — The world just became a lot more accessible for denizens of Southern Utah with the opening of a new flight destination to Phoenix, Arizona. 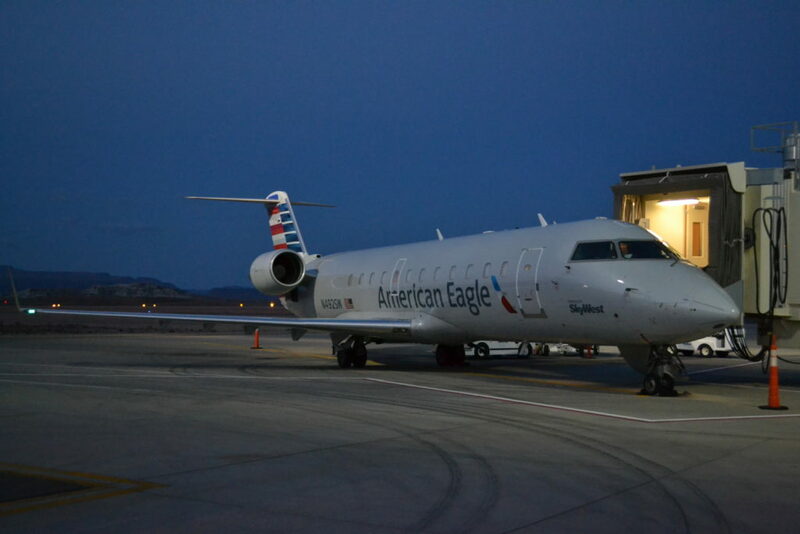 SkyWest Airlines launched the new American Airlines flight from St. George Regional Airport to Phoenix Sky Harbor International Airport with an inaugural flight Friday morning. 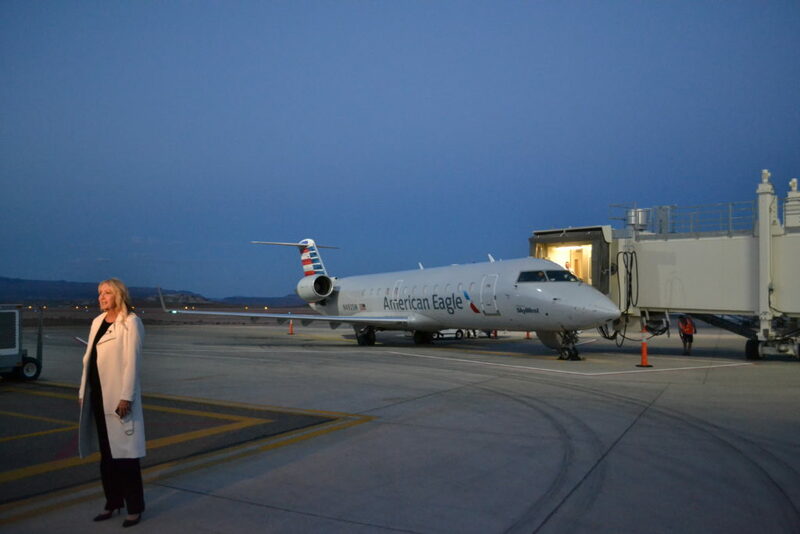 The 50-seat Canadair Regional Jet was filled to capacity for its maiden voyage. 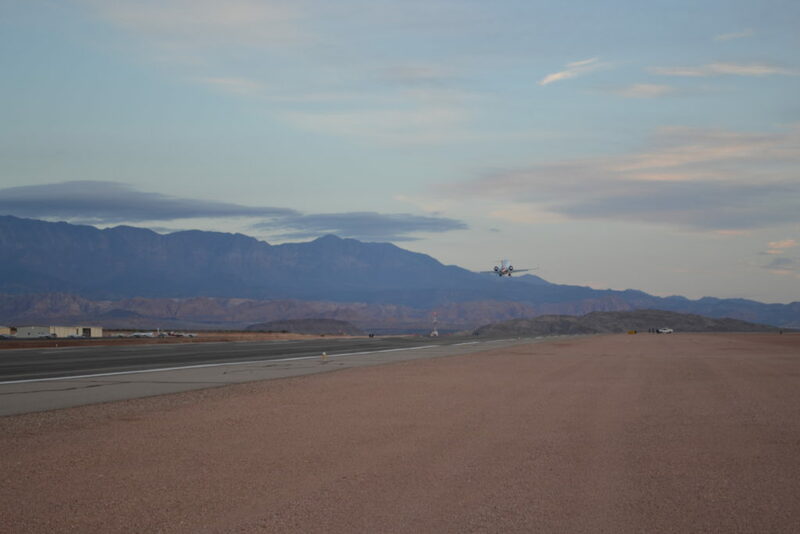 The new route joins the two other existing routes to and from Denver, Colorado, and Salt Lake City, increasing access to southerly destinations with connecting routes in Phoenix. 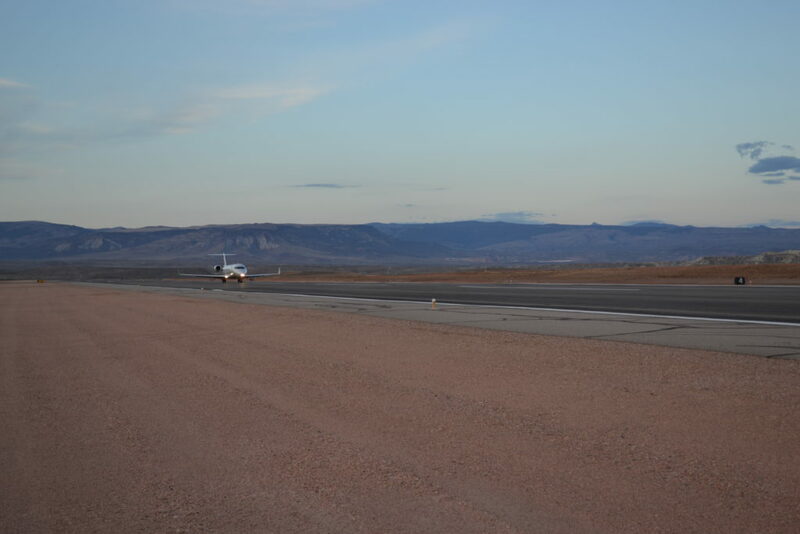 “It’s just a fantastic opportunity for all the citizens of not just St. George but really southwest Utah to be able to get to over a thousand destinations from those three airports,” St. George Mayor Jon Pike said of the new route. SkyWest partnered with American Airlines to provide the new flight destination, joining existing partnerships with Delta and United for the Denver and Salt Lake City flights. 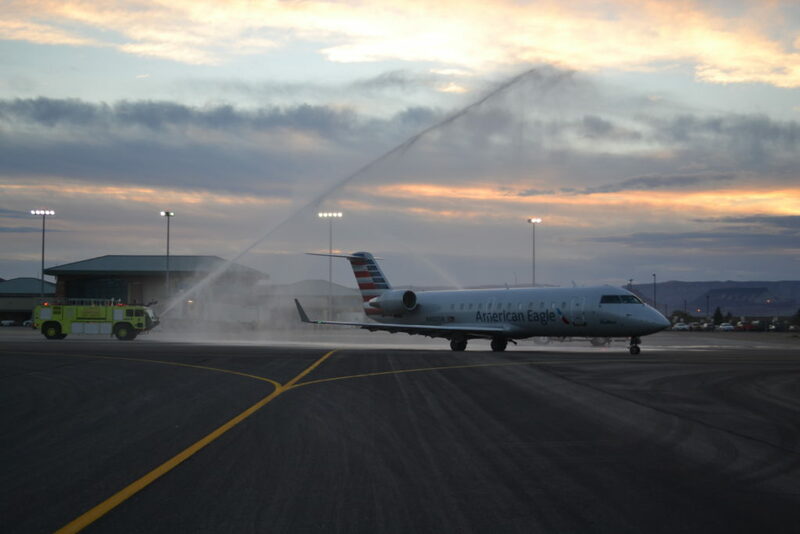 “With American (Airlines), you can go to so many places, whether it’s to South America or to the East Coast, to Texas, to Hawaii to the Caribbean,” Pike said. SkyWest Airlines Vice President of People Lori Hunt said the new route brings additional destination choices to all. “With this new Phoenix service, customers will now have access to over 300 flights and 79 additional destinations. It’s a big win for the community,” Hunt said. 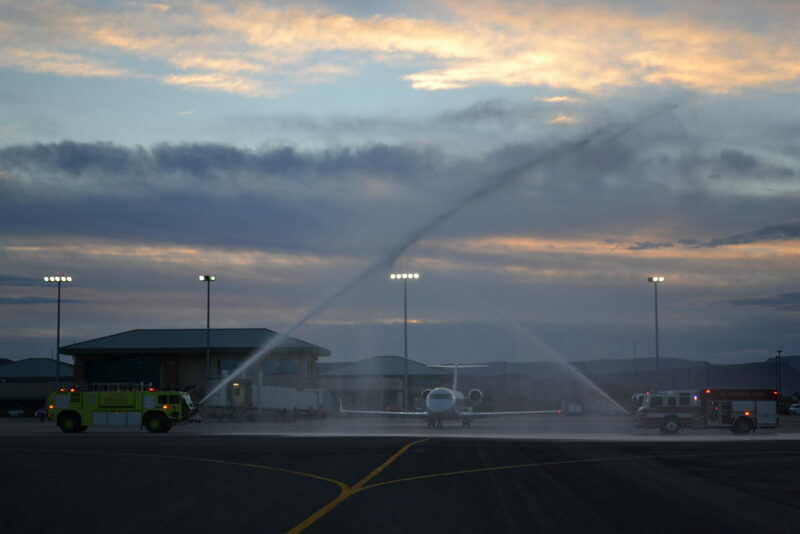 The flight was sent off in fantastic fashion, including a pre-flight shower for the jet in a traditional water cannon send-off by St. George Fire and St. George Airport fire engines. Guests were served celebratory “PHX” sugar cookies, providing a morning sugar rush for the inaugural flight. Flights to Phoenix run daily 8 a.m. MDT to 8:05 a.m. MST with return flights running 5 p.m. MST to 7:05 p.m. MDT. and we were just having a conversation about water conservation !